How much energy are you spending trying to be what everyone else wants you to be? What would it mean if you would simply be yourself? Living in authenticity doesn’t mean we are without fault. It means we accept who we are, we love who we are, and we choose when, where, why and how to grow. 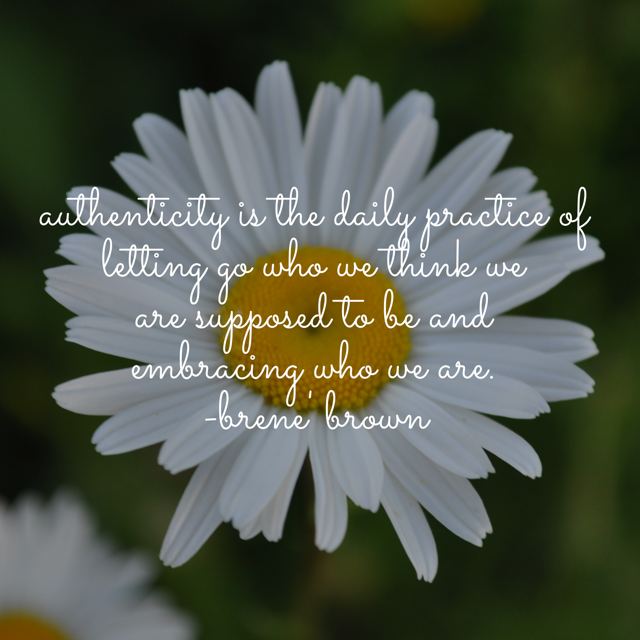 If you would like to join me on this year’s exploration of authenticity (my #OneWord for 2017), consider Brene’ Brown’s TEDTalk, The Power of Vulnerability, as a good starting place. And, click here to subscribe for my future posts! Photo credit: Daisy, taken by El Biddulph somewhere in Central Ohio, 2010.